Șimian is a commune located in Mehedinți County, Romania. It is composed of eight villages: Cerneți, Dedovița Nouă, Dedovița Veche, Dudașu, Erghevița, Poroina, Șimian and Valea Copcii. 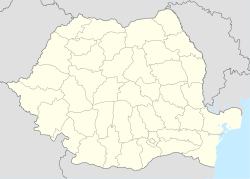 This Mehedinți County location article is a stub. You can help Wikipedia by expanding it. This page was last edited on 29 November 2018, at 19:15 (UTC).